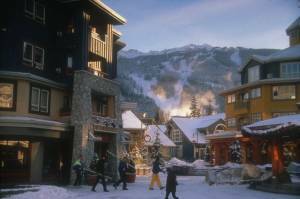 Whistler (BC), Canada – The ski season was off to a strong start at Whistler Blackcomb. The B.C. ski giant recorded 604,000 visits through January 3, the highest visits to date in the company’s history. This compared to 514,000 visits for the prior fiscal year through January 4, 2015. Also as of January 3, the company generated C$40.1 million in 2015-16 season pass and frequency card sales, a 1% increase in sales compared to the same period last year and a 4% increase in sales compared to the same period in fiscal 2014. Forward bookings in Whistler’s accommodation sector as of January 3 were pacing approximately 4% ahead of bookings at the same time the previous year and 10% ahead of bookings at the same time in fiscal 2014.